To register for the INACSL Conference, 2019, please click the "Registration" button to the left. The "Login" button in the upper right is to log in to this website (NOT the INACSL website) to create a customized conference schedule. If you create a login on this website, you will use the same login details to access the conference app when it is available. Welcome to the International Nursing Association for Clinical Simulation & Learning Conference, 2019 Website! Some features will not be released until closer to the conference date (such as session presentation files and exhibitor details), so remember to visit this site regularly in order to enhance your conference participation experience. The INACSL Conference is a leading forum for simulation aficionados, researchers, and vendors providing the ideal environment to gain and disseminate current, state-of-the-art knowledge in the areas of skills/simulation operations and applications in an evidenced-based venue. Healthcare professionals will have the opportunity to network with colleagues and exhibitors, discuss best practices as relates to competencies, safety and quality performance indicators, and advance the science of simulation. Experience the newest innovations in nursing simulation and learning resources while revisiting tried-and-true methodologies. Explore future simulation opportunities using evidence based practice. Determine new directions for simulation and learning resource centers. Explore strategies to integrate technology in curriculum and practice. Examine the challenges of managing nursing simulation/learning resource centers. Network with collegues and experts. 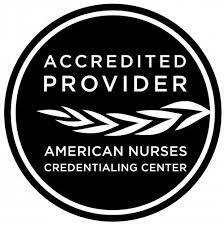 The International Nursing Association for Clinical Simulation and Learning (INACSL) is accredited as a provider of continuing nursing education by the American Nurses Credentialing Center's Commission on Acreditation.